Las Vegas is a wonderful city. Whether you live here or have simply come for a visit, our valley is filled with excitement, fun, and thrills. However, it also has its fair share of risks. One moment you can be taking in the sights, driving home from work, or planning a trip to the lake; the next moment your luck could change and you find yourself in a hospital. Unfortunately, catastrophic injuries happen all the time, and there is no way to predict them…no matter how careful you are or how lucky you feel. According to the Nevada State Health Division, catastrophic injuries are the leading cause of death in the state, ranking Nevada 15th in a national poll for injury fatalities. In addition, Nevada is among the highest-rated state for car accident injuries in the nation, averaging more than 50,000 collisions each year. Now, the scariest part of all this is that 10 percent of these statewide crashes occur in the Las Vegas area. In addition to traffic collisions, hundreds of personal injuries are reported every day due to careless actions, slip and fall incidents, and a host of other causes. This is why it is important to know where to turn if your luck runs out. How do you choose good representation? Will dealing with a lawyer be just as stressful as doing it on your own? When you suffer a severe injury, choosing the right legal representation is paramount to get you the justice you deserve. However, not all personal injury attorneys are created equal. At Jones Wilson, we know how stressful and difficult it can be to put your future into the hands of a stranger. That’s why we take the time to prove ourselves and our skills to every one of our clients. With over 35 years worth of experience, we know the way to get the job done—and done right—and we have the skills to outplay the crafty insurance companies and their corporate lawyers on the other side. Our attorneys pride themselves in giving personalized attention to every case. Although some lawyers hand off cases to interns or paralegals, we believe that you deserve more! This is why, despite our smaller size, we handle every aspect of your case with the utmost respect and care. We know how important a fair settlement is to you, and we’ll personally fight to make sure you get what you deserve. We actively listen to learn what aspects of your case are most important to you. We take the time to explain every facet of your case to you without patronization. We strive to educate you about your rights in order to give you the confidence needed to demand the compensation you deserve. Our reputation for not backing down with insurance companies allows us to get successful settlements faster, without the need for drawn-out negotiations. We believe in honesty over smooth talk; we won’t hide things from you or sugar coat issues. Instead, we’ll make sure you know the setbacks, as well as how we plan to fight back. Small to large cases, we do not discriminate. Many attorneys feel that low-end cases are not worth their time or trouble, and cherry-pick the ones they want. However, we feel that every case is important. We passionately fight for justice, no matter the size of your claim. Although small in size, we take cases all around the Las Vegas Valley and southern Nevada, as well as those that pertain to out-of-towners. If you were injured near Vegas, we’ll fight for you no matter where you live. After a catastrophic injury, or any other incident where you have been hurt, your stress level is precarious at best. Unfortunately, insurance adjusters know this, and will use it to their advantage. This is why choosing representation as soon as possible is key to leveling the playing field, and getting a fair settlement. We know how insurance companies work, and we take it personally. Don’t allow them to take advantage of you or pressure you into taking a subpar settlement—let us fight back! Our Henderson personal injury attorneys proudly protect the rights of injured victims throughout the Las Vegas area. Contact us today at 702-405-6000 for a free, no-obligation consultation, and see how we can help you and your family get the compensation, justice, and peace of mind you deserve. 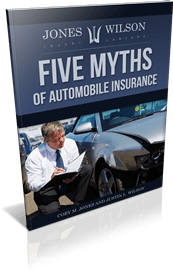 Nearly 1.3 million people die each year as a result of traffic accidents, and another 20 to 50 million car accident injuries occur worldwide. This means that an average of 5,000 people an hour fall victim to car accidents. Regrettably, cities that are considered to be “party cities” and have high drinking rates—such as Las Vegas— are even more susceptible to collision risks. If you've been injured in a car accident, it's important that you speak with an attorney who can help you protect your rights as well as help you recover compensation to cover your medical expenses. Contact us today to learn how we can help you. Nearly 300,000 people in the U.S. alone are suffering the effects of a spinal cord injury. Although medical science is working hard, a complete cure for severe spinal injuries has yet to be discovered. Regrettably, this means that treatment and “recovery” for victims is long, arduous, and will likely be incomplete. It’s not uncommon for treatment to be required for the rest of their lives. As a victim of a tragic accident, we don’t believe that you should have to pay a lifetime of consequences for someone else’s mistake—and we’ll fight for you and your family in order to make our beliefs known. Come see why our need for justice is exactly what you need when pursuing a spinal cord injury claim. Slip and fall injuries can happen anytime and anywhere. A cracked sidewalk, spilled milk, a collapsed food display at the grocery store, and poor floor maintenance are all just potential factors that could lead to a tragic slip and fall accident. If you’re injured as a result of someone else’s laziness, carelessness, or downright stupidity, we believe that you deserve compensation. Another person’s mistake shouldn’t cost you anything, let alone time, pain, and future earnings due to treatment. At least we don’t think so. See how we fight to make sure that your accident doesn’t keep you down.